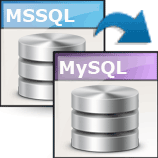 Viobo MSSQL to MySQL Data Migrator - migrate data from MSSQL to MySQL easily! Viobo MSSQL to MySQL Data Migrator is the simplest data migrator between MSSQL and MySQL currently. It can migrate data from MSSQL to MySQL database system fast and easily; you can drag and drop the object of the tree-like databases to migrate and backup data; it supports all versions of MSSQL and MySQL, supports both oledb and odbc database provider. NO DBA experience is required. There is also portable version to download and regnow purchase way. Note: We provide also business version that one business licence allows to use it on 1-5 computers and we provide lifetime free technic support for business version users. 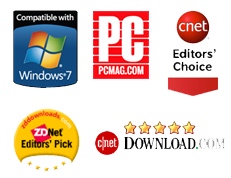 Please download it (Setup File or Portable Version) and purchase it $129.97 by Avangate or by Regnow. The tool are compatible with most major versions of MSSQL and MySQL, including SQL Server 2000 to SQL Server 2008, MYSQL 3.5 to 5.2, etc. The operations of the tool support the major kinds of standard character sets very well. The tool also help Users to define his own operation conditions to make the migrating tasks pertinent. Viobo MSSQL to MySQL Data Migrator display databases as Tree-structure. Users can drag and drop objects in multi-tree to operate data in multi-dababases from one to another. Minimal resource required, complete DBA tasks with NO experience of database operations.